They are found in rich woods in large groups. They have many tiny white flowers with showy pollen stems (stamens) bunched along a leafless stem in a “foamy” spray. 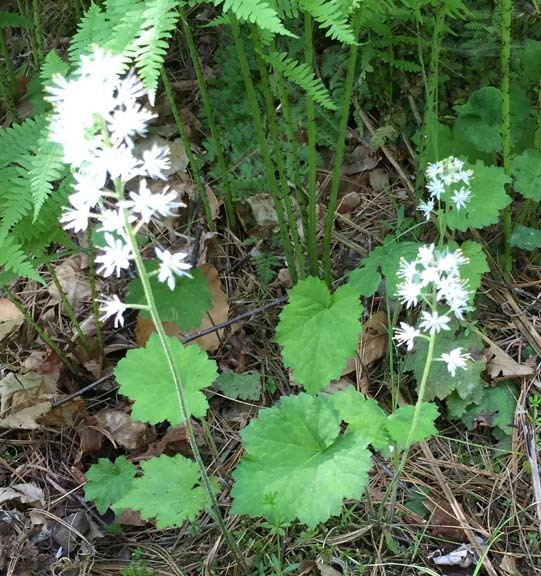 The leaves are heart-shaped, with toothed edges and sit around the bottom of the plant. They bloom May through June. 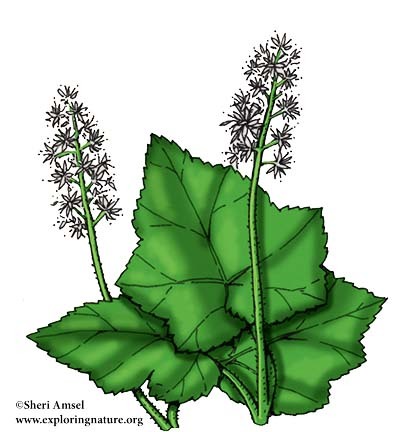 Also called, false miterwort.